DAVID LE/Staff photo. 5/30/15. 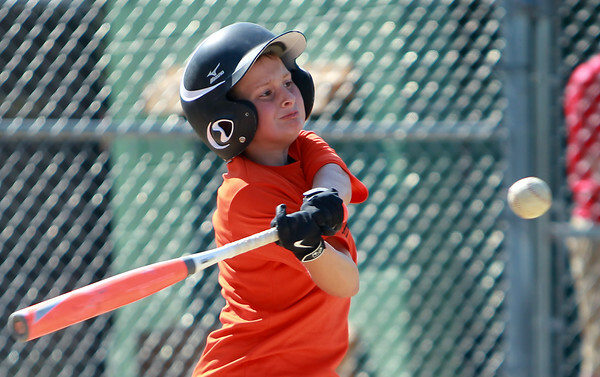 Beverly Little Leaguer Charlie Mack takes a cut during a hit-a-thon on Saturday afternoon.